If you’ve encountered a problem with termites, it’s always best to call in an exterminator. While some homeowners attempt DIY strategies, these can be largely unsuccessful, resulting in extra frustration. Since termites are notoriously hard to eradicate and can cause extensive damage, there’s no shame in phoning the professionals. For those in New York City’s five boroughs, Inside Out Exterminating in New Hyde Park has been the area’s go-to termite exterminator and pest control expert since 2002. With unmatched service and quality work that lasts, this skilled exterminator eliminates pests for good, providing you with a lasting peace of mind. Better Pesticides: Unlike lower-quality DIY solutions, a professional exterminator will use pesticides with a longer shelf life and stronger ingredients than anything available in stores. These pesticides are also regulated for protection, making sure residents stay safe during termite treatment. Professionals also know exactly how to use them, ensuring they only spray the safest, most effective amount. Knowledge & Experience: Experienced termite exterminators have seen their fair share of termite issues, large and small. This experience provides ways to deal with a wide range of issues; with quality, specialized equipment and training, they can tackle any task with skill. Lasting Results: To eliminate termites for good, it’s best to rely on the experts. Since contractors offer a guarantee, they’ll return and re-treat your property for free if any pests do happen to return. Maintenance schedules ensure that pest control is a top priority, leading to lasting results. If you’re dealing with termite issues and are in need of a quality pest control service, look no further than Inside Out Exterminating. 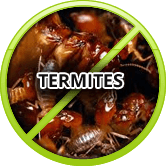 Visit their website to learn more, or call (516) 641-0595 to speak with an experienced exterminator today.